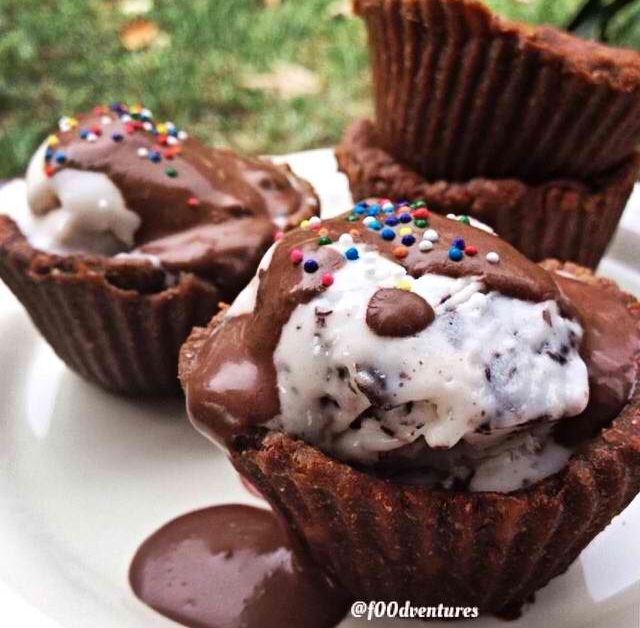 How adorable are these little edible ice cream cups? The cups themselves have a secret ingredient (pumpkin) which is what helps keep these babies dairy free and vegan. I filled the cups with a nana ice cream but feel free to fill them with whatever your heart desires!